The weeknote concept is fairly simple and mostly summarised in the name. After seeing Jeremy Keith regularly link to a number of excellent ongoing weeknotes, I felt the urge to try it for myself. One of the more interesting aspects of finally working on a more app-like web service (as opposed to one that’s mostly content or mostly forms) is finally getting a bit of insight into the culture gap in the web development community. It isn’t surprising that two, largely incompatible mindsets result in two largely incompatible cultures. It definitely is a mindset. The way you need to think about a client-side rendered web app is very different from the way you think about a mostly server-rendered one. Good ideas become bad. Bad practices become good. Making an app that should be mostly client-rendered with a server-rendering mindset results in a slow, fragile, and inaccessible service. And it goes both ways. Making a service that should be mostly server-rendered with a client-rendering mindset results in slow, fragile, and—again—inaccessible service, albeit for entirely different reasons. I suspect that many of the current Big Issues with the web currently stem from the fact that most education, training, and recruitment is focused on the client-rendering mindset even though that mindset only applies if the service both has a dynamic UI and is a profit centre. 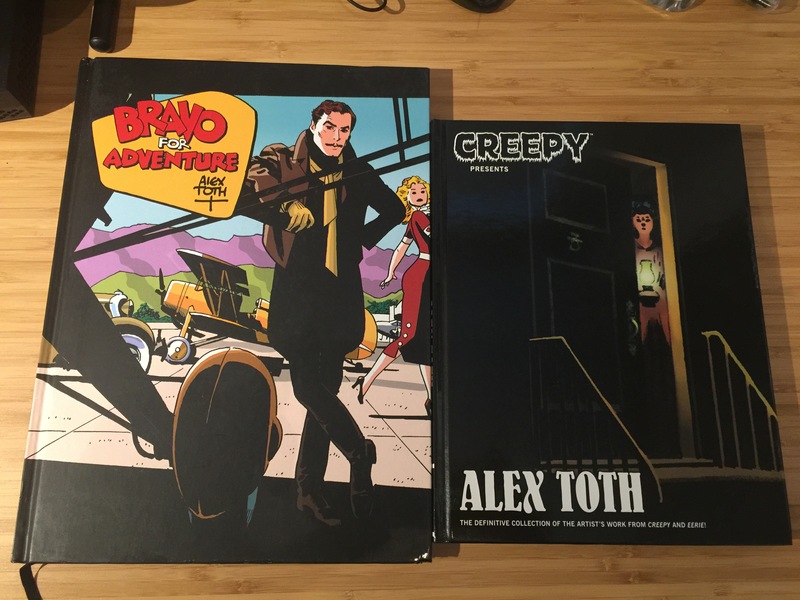 Read Loretta Chase, Courtney Milan, Dorothy L. Sayers, and a couple of Alex Toth books. The Bravo For Adventure edition in particular sets a new record in my collection for book height. 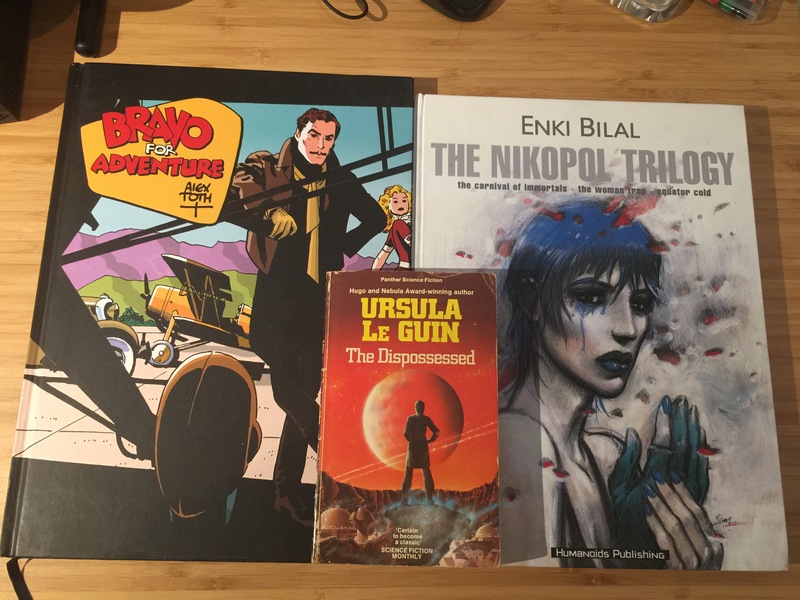 The previous record holder was the hardcover edition of Enki Bilal’s Nikopol Trilogy. Here the two are together with a mass market paperback as a size reference. The ‘Parc Jarry’ project is entering the final stages on the photography side. 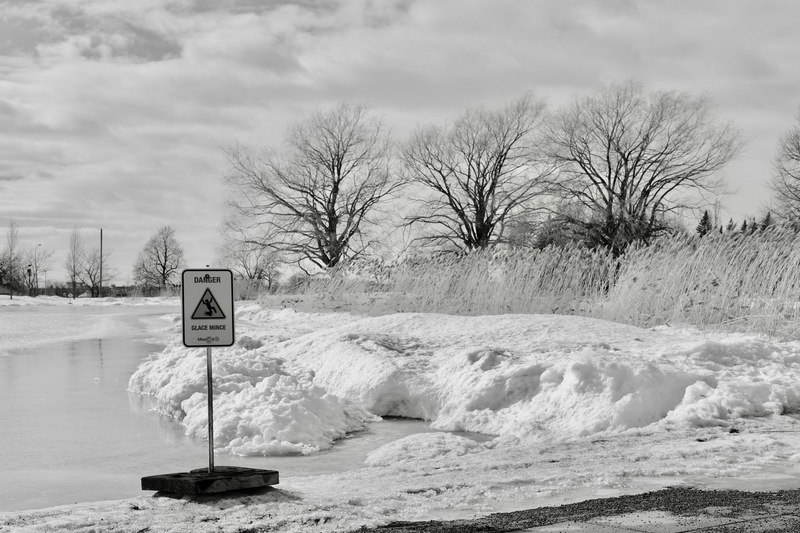 I’ve done summer, autumn, and winter and you can tell that spring is nearing from the fact that Montréal authorities have put a ‘Warning, thin ice’ sign on the pond.